-I got a client who need someone to talk to, a second boss said to me. He stood in the doorway and leaned one hand on the door frame. -A client, I asked, and turned away from the computer. -Yes, you got to take this, he said and glanced at his watch. -I`m very busy, I said. -Yeah, we all are. So this is yours, he replied. He pounded two weak thuds on the doorframe with his fingers, turned and went out in the hallway. I heard that he spoke with some there, and soon a woman came with bewildered eyes into my office. I got up, closed the computer and put it under my arm. With my free hand I showed her the way to the meeting room. I made myself smile and showed her a chair. Then I opened my computer again and stared into the screen while I logged on. It often went so slow with this credential. Sometimes I could even forget my password, in particular in situations like this. Then I needed to open a new document. This could also be slow. I looked into the screen. The document would probably be present. Just not once. 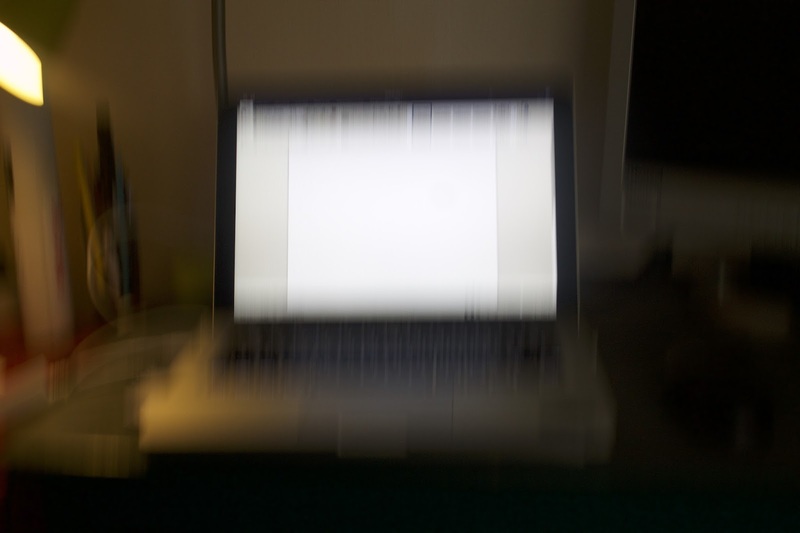 I stared into the screen as if I could loose the document if I didn`t regard it. Maybe it would show up and then disappear again unless I watched it. And there it was. I wrote a title; "Meeting with a client". I looked up. -Yes, how can I help you, I asked. She looked at me. -Well, I´m having quite a lot of trouble, she said. "Quite a lot of trouble", I wrote on the computer.